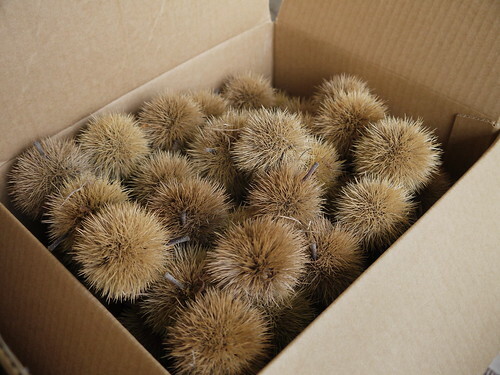 We planted two chestnut trees in early Spring 2009: a Colossal Chestnut and a Seedling Polinator. 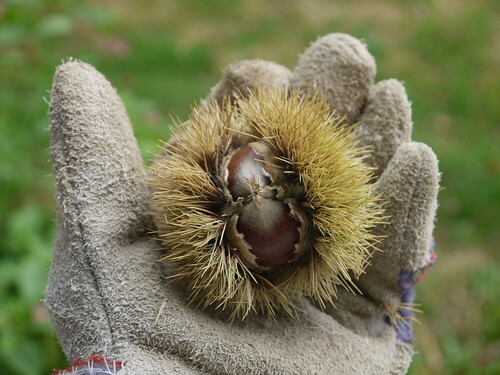 This is their sixth growing year and the first we had a decent harvest (though we had one or two chestnuts last year). Both varieties ripen in late September, so we began collecting the fallen chestnuts during our waits for the school bus in the morning. 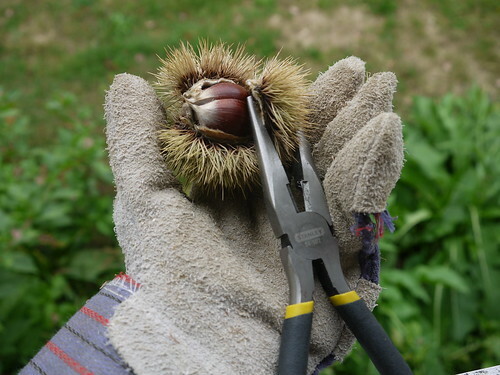 Most of the chestnuts were ripe and the husk could be pulled off easily, but some of them were a little underripe and needed assistance with some pliers. Still others were not ripe enough to be used. 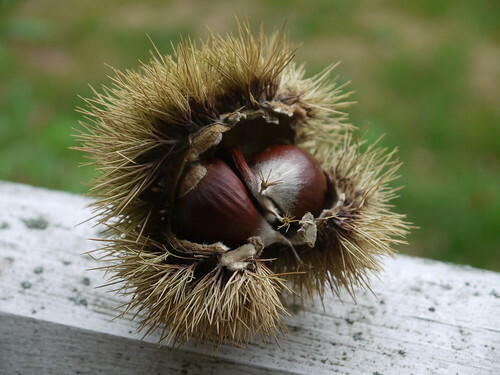 If you’ve never seen a chestnut husk in real life, it’s got the most painful arrangement of sharp spikes on a protective husk. 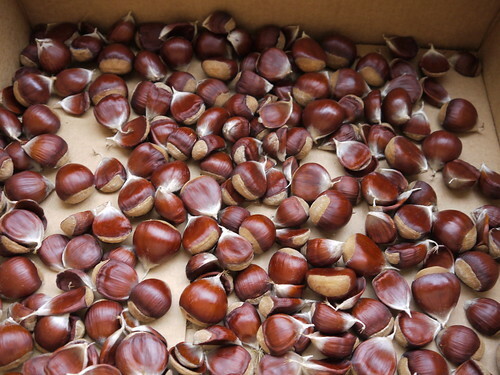 That husk must be removed to expose the nuts — usually two or three per husk. Our next project will be to do something delicious with our harvest.